Leading Manufacturer of concrete pump pipe clamps, concrete pump o-rings and seals, concrete pump pistons, rubber pistons, concrete pump sponge balls and concrete pump clamps from Mohali. We are a unique entity in the industry, actively committed to offering an optimum quality range of Concrete Pump Pipe Clamps. 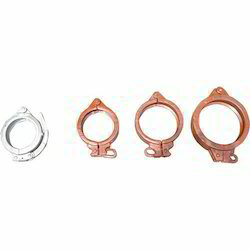 In synchronization with the set industry standards, these clamps are designed and manufactured under our skilled professionals using high-grade basic material and latest technology. 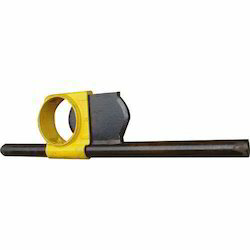 Owing to their excellent strength and rust proof features, our provided clamps are highly demanded among our clients. Furthermore, our quality experts check these clamps on various quality parameters to avoid any flaws. 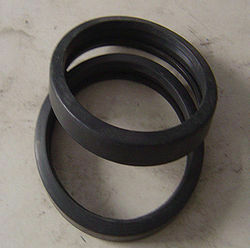 We are the leading organization in the industry to provide our clients the best quality range of Concrete Pump O-rings And Seals. The provided spare parts are precisely manufactured by our renowned professionals using the best grade raw material and modern technology. Offered spare parts are available in different dimensions and widely demanded by our clients for their proper dimensions and simple installation features. Further, our clients can avail these spare parts at affordable prices. Price Range:- Rs.20-500 depend upon the size of product. We are among the reputed organizations, highly engaged in providing an optimum quality range of Concrete Pump Pipe Clamps. Our offered clamps are widely acknowledged by our valuable clients for their rust-proof and high tensile strength features. 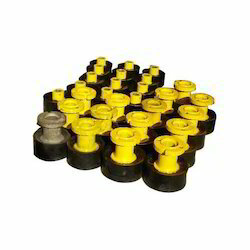 The provided clamps are uniquely manufactured using the quality grade basic material and modern technology. Furthermore, these clamps can be availed by our clients at most competitive prices. Keeping in mind the ever-evolving requirements of our prestigious clients, we are offering an exclusive range of Concrete Pump Pistons. The provided pistons are highly demanded among our valuable clients for their simple installation and precisely designed features. Our offered pistons are precisely designed and manufactured by our renowned professionals using premium grade basic material and high-end technology in compliance with the set industry standards. 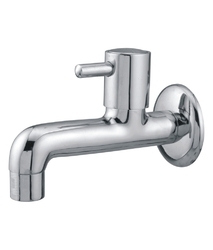 Price Range:- Rs.3000-7000 depend upon the size of product. 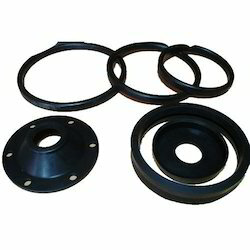 With enriched industrial experience and knowledge, we are providing a wide range of Rubber Pistons. Our provided pistons are exclusively manufactured under the guidance of our skilled professionals using optimum grade raw material and latest technology. Owing to their durability and easy installation features, our provided pistons are highly acknowledged among our clients. 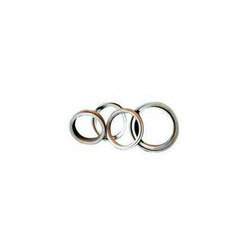 Furthermore, offered pistons can be availed by our valuable clients at competitive prices. With the continuous support and sincere efforts put by our experienced professionals, we have been able to provide our clients with a qualitative range of Concrete Pump Sponge Balls. Our provided sponge balls are well manufactured under the guidance of our adept professionals using premium grade raw material and superior technology. Offered sponge balls are highly demanded among our clients for their premium quality and durable features. 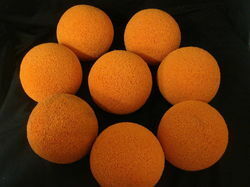 Moreover, these sponge balls can be availed by our clients at industry leading prices. Backed by rich industry experience, we are highly engaged in offering a qualitative range of Concrete Pump Clamps. Owing to their accurate dimensions and high strength features, our offered clamps are highly demanded among our precious clients. In synchronization with the set industry standards, the provided clamps are well designed and manufactured by our skilled professionals. Furthermore, our clients can avail these clamps at a reasonable price. Price Range:- Rs.100-7000 depend upon the size of product. Price Range:- Rs.300-900 depend upon the size of product.